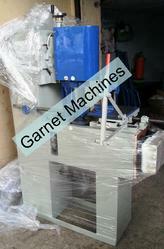 Tenoning Machine is a very effective machien to make tenon joints. Tenoner Machine is useful for many applications in wood industry. Table size: 27" x 12"
Cutter block adjustment: 0 to 4"
Angles: It can be changed at horizontal, vertical and 45 by PLC. This machine is most useful in carpentry works, The machine design is very simple, hence unskilled man can operate this machine. Table Size: 18" X 7"
Max length of Tenon: 5"
· Manufactured to consistent accuracy to give prolonged reliable service. · Bearing Surface Precision ground. Flatness within 0.0012" (30 microns). · Once locked impossible to shift. · Totally enclosed acme screw with three point location of operating in Manganese Bronze Nut. Title - Teno. Mac Model No.- RKI - 134Table Size- 21" X 8"Table movement- 8" Max. Length Of Tenon- 6"2 Nos. 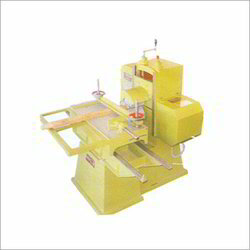 We would like to introduce ourselves as a leading supplier of Wood Working Machine Cutter & Tools in India. We have been in this business for the past 25 years with a policy of total quality, total trust.